There is perhaps no better way to brighten up a cold winter’s day than with colorful bright balloons. For most people, balloons are a symbol of celebration, so what better way to celebrate the holiday of love than with some bright, sparkly, or unique Valentines Day balloons. Balloons make great little gifts for your child to include in the envelope with his or her Valentine’s card to classmates. 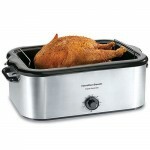 They are the ideal way to help set the stage for a festive Valentine’s family dinner, get together, or romantic evening for two. And they make great additions to send with, or instead of, those Valentine’s bouquets to your loved one’s home or place of work. Party At Lewis is a party store that supplies all of your party needs, from elegant dinnerware to party decorating supplies and more. The Luv Razzle Dazzle Valentine’s Day Latex Balloons are the perfect balloons to brighten up that kid’s school Valentine’s party, or help create a romantic setting for your own private celebration. There aren’t many reviews for these balloons to be found at present, but the couple of reviews that are available stated that these balloons are bright and a nice size for decorating for parties. The Pioneer Balloon Company/Qualatex has been making balloons for every occasion for more than 80 years. These high quality balloons have been a part of graduations, birthday parties, weddings, anniversaries, and have even welcomed home members of the armed forces. Whether you are looking for a fun or sentimental balloon to set off your celebration, this company can provide it. The Valentine’s Day Singing Balloon By Qualatex is a great way to surprise your loved one at work. One customer stated that this balloon is large, stays inflated extremely well, and sings incredibly loudly, which makes for a great surprise for the recipient. Anagram Balloons offer metallic brilliance balloons in unique shapes and colors. This I Love You Stacked Red Hearts Set Of Balloons is a perfect way to surprise your loved one at work or at home. This set of three connected red heart balloons is sure to make the recipient’s heart beat a little bit faster. This balloon would be great to have presented to a loved one at work, accompanying a bouquet of flowers or a box of candy. 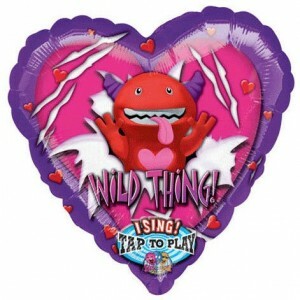 This Wild Thing Valentine’s Day Balloon is perfect for the man in your life, or even an incredibly active child. The one review that seems to be available for this balloon indicates that the purchaser was well pleased with this cute balloon. They stated that the balloon stayed inflated for weeks and played nice and loud. Valentine’s Day balloons are a great and inexpensive way to express your love on Valentine’s day, while setting the stage for a real feeling of celebration of your love.